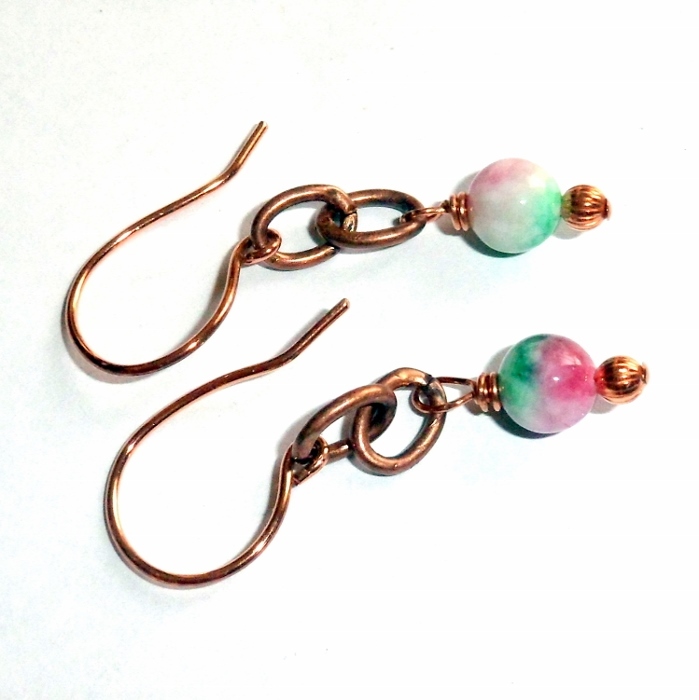 Watermelon jade gemstones set on wire wrapped copper chain earrings. 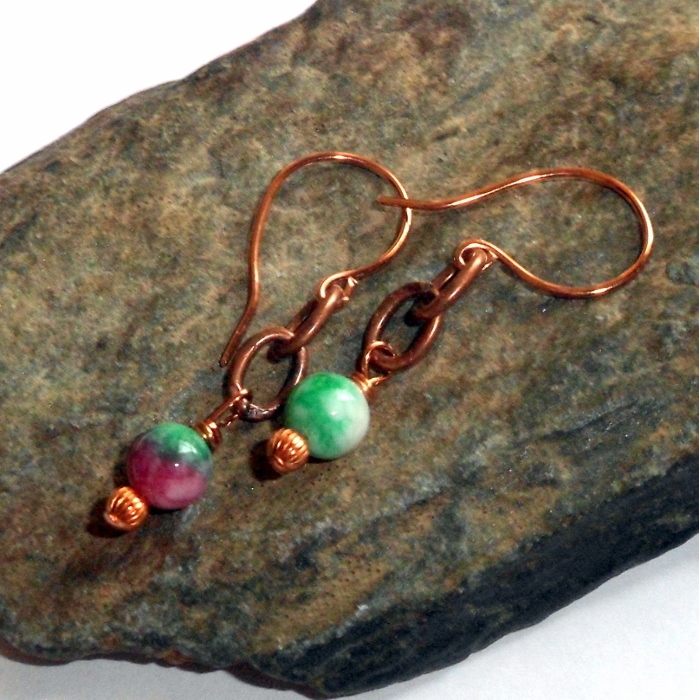 Jade helps to increase longevity. Jade is considered to be a stone that gives confidence, self-sufficiency and increases tolerance. Physically, Jade is is thought to regulate the heartbeat, Increase vitality as well as help with the hips, kidneys and spleen. Total length 1 1/2 inch. 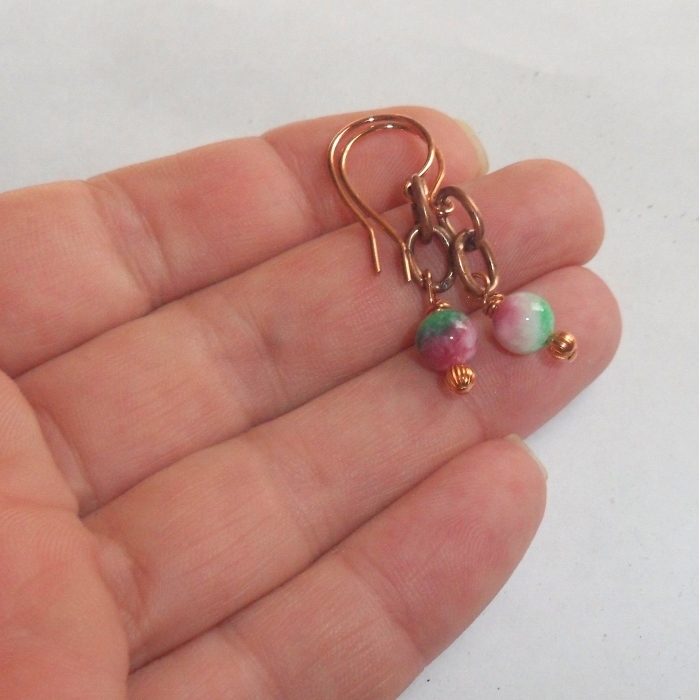 Watermelon jade gemstones are smooth 6 mm rounds, with the same pink, green, and white colors you see in fresh watermelon.